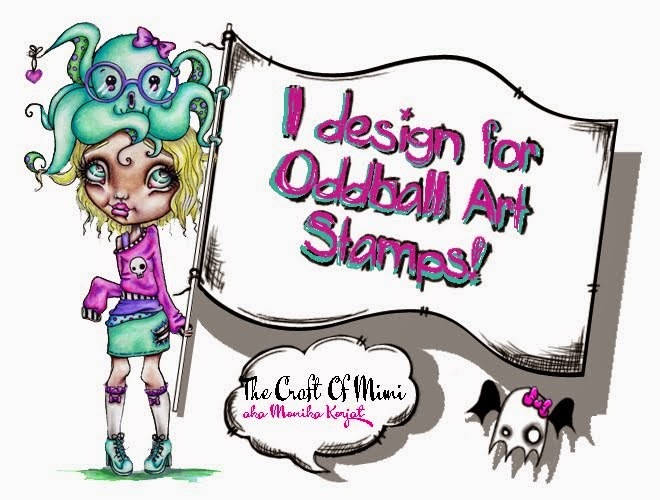 The Craft of Mimi: Oddball Art Stamps challenge reminder. HI! I know this post is so so late and I just need to apologize for this. Life has been hectic recently with job, course work and home things. But hopefully all is on the mend. 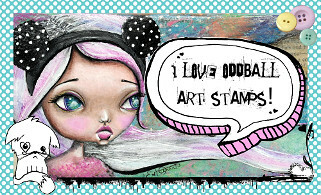 Oddball Art Stamp still has ongoing challenge on the blog so pop in and see whats happening there you can find the blog here. For the reminder I did this card for my Mother for the Mother's Day. In Polish tradition it is always celebrated on the 26th of May so I will be posting her shortly. I had so much fun colouring and making this card. The sentiment can be loosely translated to : 'On Mother's day ... I wish you can just relax'. I hope she will like it!